The lands of HGRD are dedicated to serving the inspiration and upliftment of all those who visit here and those who live here. The grounds are tended and beautified through the love and devotion of the grounds keepers and sangat members. Please Note: Dogs are not allowed loose on the Ashram property. The main complex of Hacienda de Guru Ram Das (HGRD) consists of 20+ acres of land with the entrance gates on Sombrillo Road. This land is owned by the SSS Corporation, the non-profit corporation that will hold and protect these lands in perpetuity. 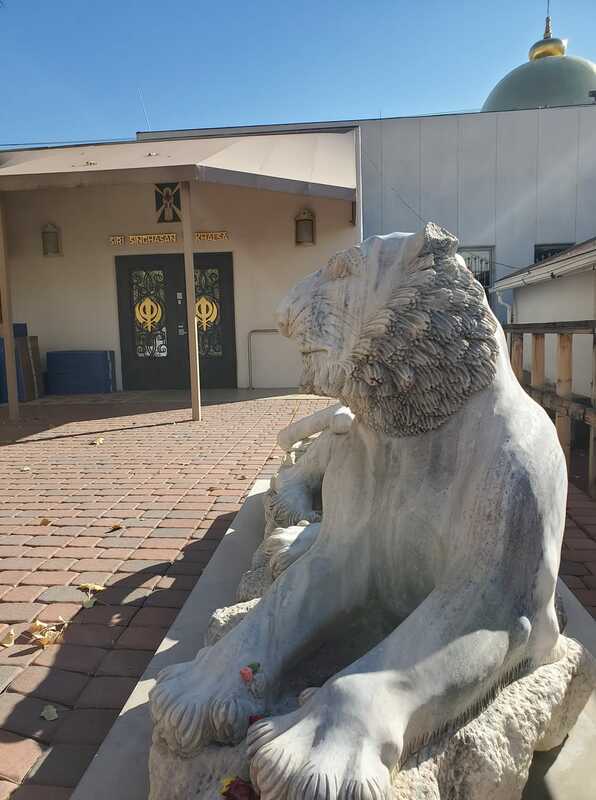 The land houses our Gurdwara, Langar Hall, administrative offices, and community-based businesses. Ram Das Puri, 160 acres of land in the high desert wilderness of the Jemez Mountains, is owned by the SSS Corporation and is the site where our annual Peace Prayer Day and Summer Solstice Sadhana celebrations are held. To learn more about Peace Prayer Day and Summer Solstice Sadhana, please visit www.3ho.org and click on 3HO events. The Ranch, including Guru Ram Das Estate, located on the Yogi Bhajan Memorial Highway, is the home of Bibiji, her family and staff. Tours of this property may be arranged by Guru Simran Kaur, Ranch Custodian, [email protected].